It is truly an absurd situation. After two and half years of a bloody civil war in South Sudan, we have the same political situation as it started. A unity government will force the two main rivals to work together and bring the “youngest state” of the international government back on track.Doubts remain how peace can be uphold due to the destruction of the country’s weak infrastructure and the poor revenue of the state due to low oil prices. The key question though is how to bring about reconciliation, justice and peace in a divided country. 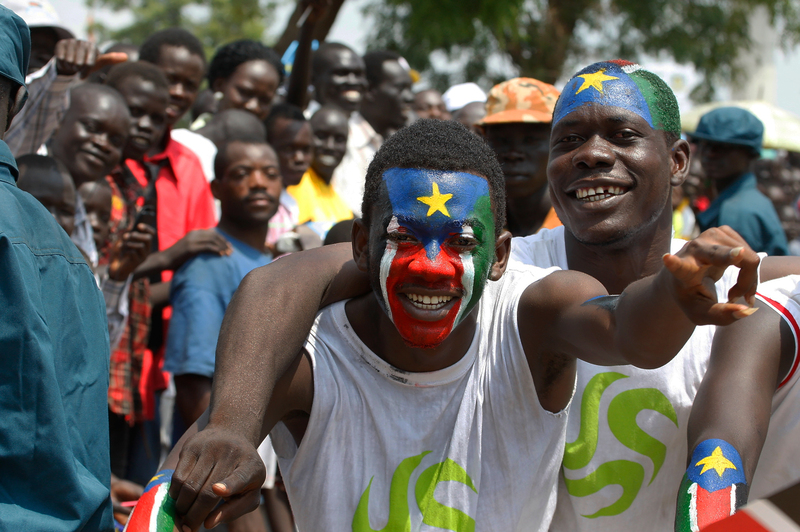 South Sudanese were cheering back in July 2011 when they finally were able to celebrate independence with the hope that it would bring a bright future, peace and prosperity. After all, the Comprehensive Peace Agreement (CPA) signed in 2005 allowed for an end of the yoke of Sudan. For more than two decades, South Sudanese forces have fought for that moment in a bitter civil war with the Muslim and Arab-dominated north that killed some two million people. The hope of South Sudanese was soon put back as their new leaders turned out to be corrupt and government brought about little socio-economic improvement. Yet it got worse. When president Salvar Kiir ousted his vice-president, Riek Machar, in December 2013, a rebellion started, though no one assumed that years of fighting would follow. Kiir’s decision was a terrible one: at least 50,000 killed, 1.6 million displaced (some 10% of the population) and 180,000 people live in UN bases. Both sides did not gain much besides bloodshed, destruction and misery among the civilian population. The use of child soldiers, grave human rights violations from both sides, also against women and children, torture, mutilation and forced cannibalism led to horror. 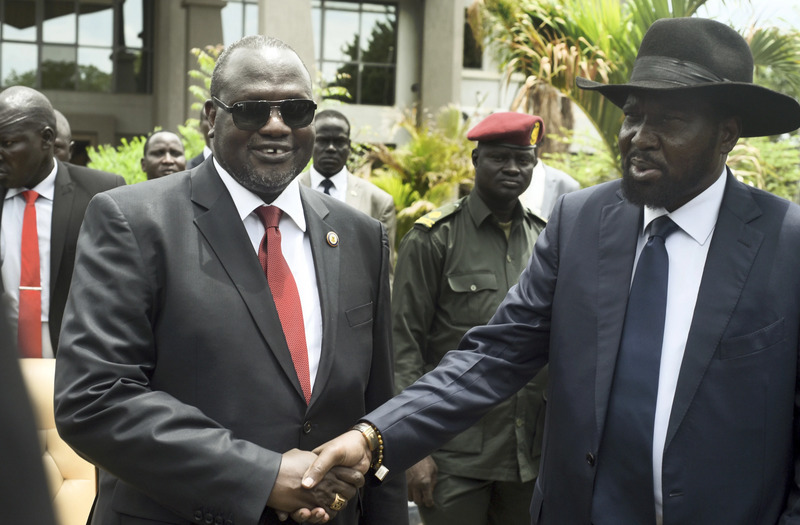 The reason for the fall-out was an internal power struggle, as Kiir claimed that Machar wanted to overthrow him. As soon as violence erupted, it was perceived in ethnic terms: Kiir was able to count on support of the Dinka ethnic group (some 36% of the population) while the Nuer (16% of the population) supported Machar. The differences of the two main ethnic groups in South Sudan go even back during the time of the civil war with Sudan. The United Nations (UN) intervened and deployed a 6,000 strong mission next to the 7,600 peacekeepers already on the ground. The mandate was robust, allowing the use of force, but the force has experienced major challenges. Peace negotiations were led by a regional organization, the Intergovernmental Authority on Development (IGAD). Crisis Group provides in a great report of July 2015 a great insight into the challenging process. When a peace agreement was signed on 26 August 2015, violence decreased but did not stop. Both sides continued with attacks. Machar’s arrival from his two years in exile on 26 April 2016 was planned days earlier, but differences over how many soldiers of the opposition would be allowed for his security, delayed even that important event. Now, however, Machar has been sworn in as vice-president, the same position he had some two and a half years ago as well. The new government, consisting of overall 30 ministers, has 30 months available to bring about change in South Sudan, before new (postponed) elections will take place in 2018. The unity government is supposed to bring about economic and military reform that should bring the country on the road of prosperity and security again. It will be a challenging affair as the country has faced poor harvests and severe food shortages during the civil war – in one of Africa’s most fertile lands. Moreover, economists warn of hyper-inflation, low government revenue due to the low oil price (oil exports are still responsible for 90% of government revenues). Western governments have promised to support the country, although comparatively very little, and it will depend on holding up the ceasefire, whether or not development money will arrive. While many see the measures as a necessary step to create pressure on both sides to follow and implement the peace deal, but it is money that the new government would already need right away. The big question now is how it will be possible to bring about reconciliation. Both leaders are highly suspicious of each other, the ethnic divide has deepened. Now, the plan is to reunite the two fighting groups and the rebel groups are re-integrated into the Sudan People’s Liberation Army (SPLA), South Sudanese’s official army. Questions remain, however, whether the army – and the rebels – have the full control over their forces. It also needs the socio-economic development of rural areas as most of the improvement was concentrated on the capital Juba. The fight against corruption, decentralization of the country and participatory governance will also be key. More than anything though it is key to overcome negative ethnicity, the tribal hatred. The way forward: how to bring about reconciliation? 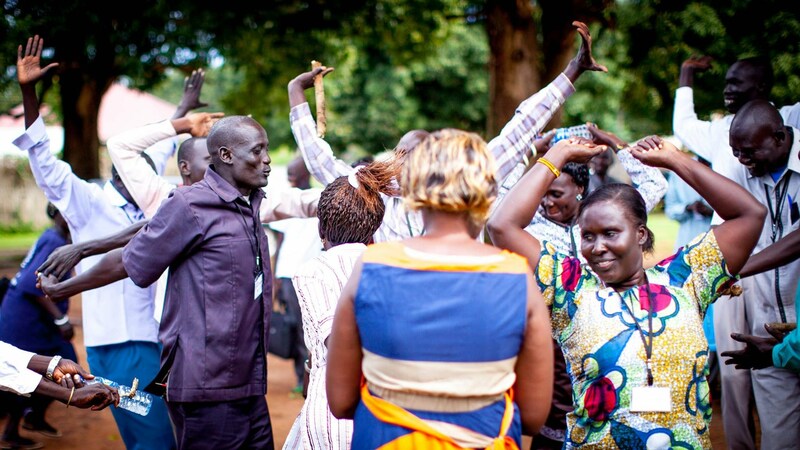 Peace in South Sudan can only be brought with initiatives on the grassroots as well as the national level. Religious leaders have already sent the right message on 29 April as they conducted a joint prayer. Already back in April 2013, before the outbreak of the civil war, religious leaders formed the Committee for National Healing, Peace and Reconciliation (CNHPR) that aims to mobilize grassroots communities for peace. The peace accord also foresees transitional justice measures, including reparations for victims, a truth and reconciliation commission as well as a special hybrid criminal court run by the African Union (AU). As of yet, it is unclear how and when these instruments are established to allow for an end to impunity but also help to bring about healing and reconciliation. Human rights groups, like Amnesty International, are already pushing for it and try to bring about awareness. Ultimately, the success of these attempts will be critical to help brining about peace, reconciliation and justice with a top-down approach together with initiatives from the grassroots level. The road for South Sudan towards prosperity will be a long and difficult process, inside the country but also for the whole region.